For Steinlen, the curvilinear form of the cat was the animal equivalent to the art nouveau lily. 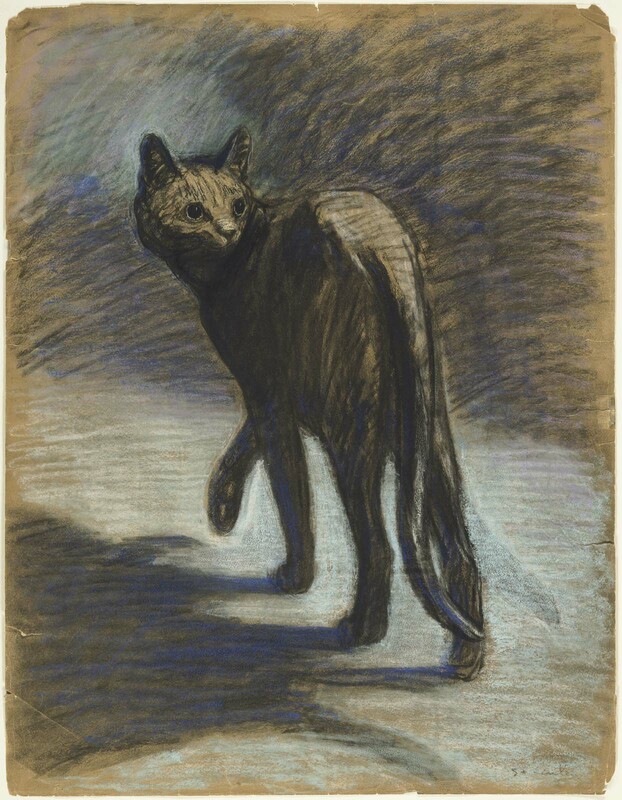 As well as the form and line, Steinlen could capture the way of the cat - its mood and motion - through the flick of a tail or watchful stare. January 11, 1967, purchased from the artist's daughter, Madame Pierre Roger Desormière, Paris, by the MFA.